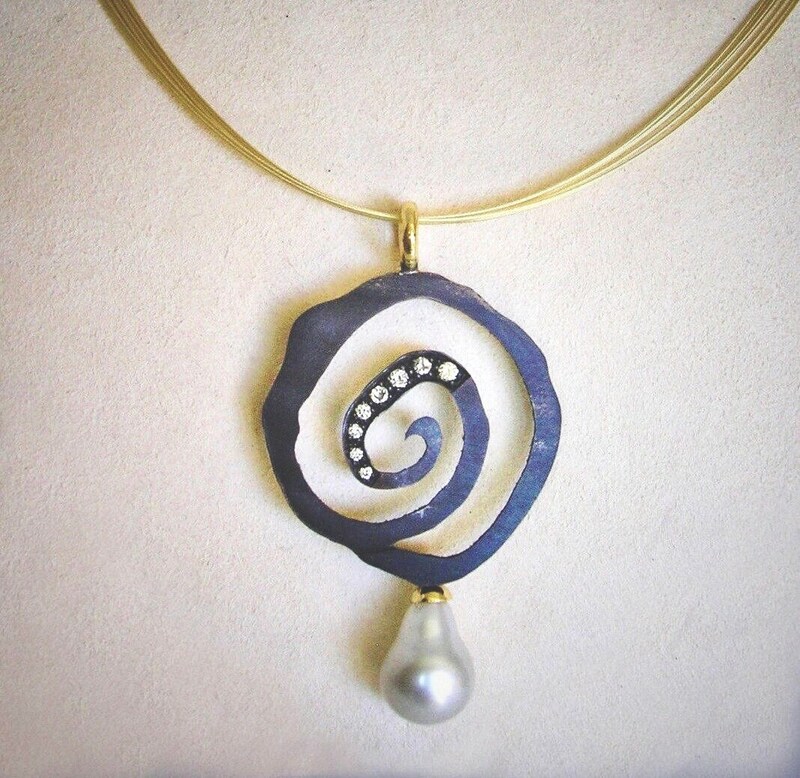 A bold statement necklace featuring an abstract spiral of oxidized Shibuichi set with approx. .40 ctw round diamonds. 14K yg suspends a large and beautifully lustrous baroque South Sea Pearl. A heavy 18K yg round loop attaches the pendant to a 14K yellow gold 7-strand cable neckwire 18" in length. Shibuichi is a traditional Japanese alloy consisting of copper and silver, used for gold inlay work, and takes a deep patina.